With its own private entrance, guests have the pleasure of walking through the lush gardens of the Calderwood Inn’s grounds, prior to stepping through the large, double doors of one of the newest additions to the historic home. 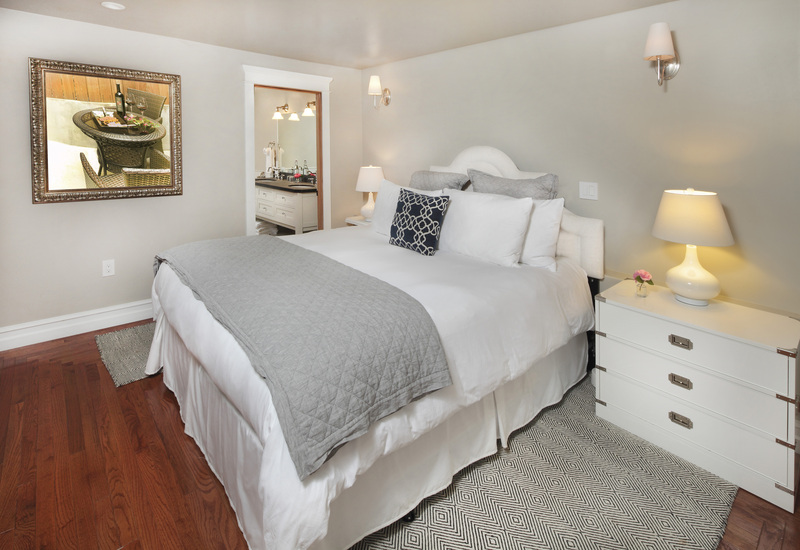 In the middle of the room and nestled atop hardwood flooring, the California king bed awaits, with a plush mattress and delicate linens. Opposite the foot of the bed, a large flat-screen television rests firmly attached to the wall, with a small hanging closet just behind. 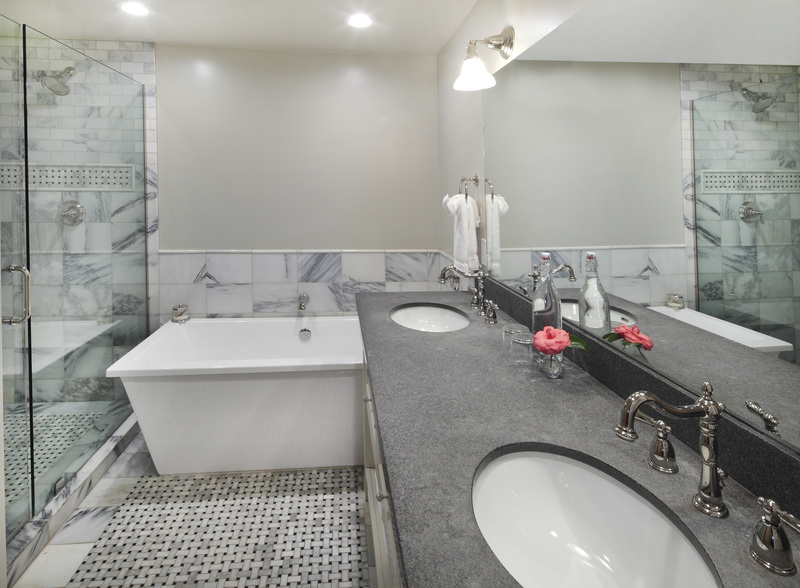 Beyond the bedroom and into the marble flooring of the bathroom, a double vanity sink with plenty of counter space is featured, along with a walk-in shower and separate tub. 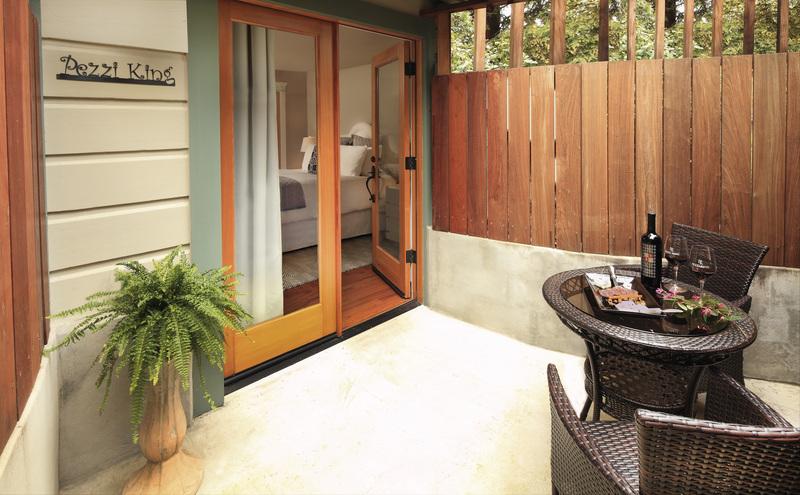 The perfect spot to unwind after a long day of wine tasting in Sonoma County.